This article was last updated Aug 07, 2018, but some terms and conditions may have changed or are no longer available. For the most accurate and up to date information please consult the terms and conditions found on the issuer website. The Discover it® Cash Back is a good option for people who want a balance transfer card that offers rewards. The intro 0% for 14 months on balance transfers gives you time to pay off your debt without accruing interest while the intro 0% for 14 months on purchases is great if you want time to pay off a large purchase without being charged interest. After the intro periods, 14.24% - 25.24% Variable APR applies. In addition to the attractive balance transfer and purchase intro periods, you can take advantage of rewards: 5% cash back at different places each quarter like gas stations, grocery stores, restaurants, Amazon.com and more up to the quarterly maximum, each time you activate, 1% unlimited cash back on all other purchases - automatically. (346) Over the Past 60 Days! This card isn’t for people who want the lengthiest intro periods available. If you have a large balance or plan on making a large purchase, you can find balance transfer cards with much longer intro periods, like 18 or 21 months. This card also isn’t designed for people who want to earn a high, flat cash back rate or wants to avoid having to keep up with rotating reward categories. Check out other cash back cards and rewards cards that may be a better choice for your spending if you don’t want to deal with rotating categories. Because this card is more of a rewards card than a balance transfer card, it has perks not typical of most balance transfer cards. Cash back is a great way to earn money back on new purchases — 5% cash back at different places each quarter like gas stations, grocery stores, restaurants, Amazon.com and more up to the quarterly maximum, each time you activate, 1% unlimited cash back on all other purchases - automatically. Compared with other basic balance transfer cards, the Discover it® Cash Back provides long-term benefits that prove useful beyond the 0% intro period. Below, we discuss the additional card benefits. This card charges a 3% balance transfer fee, and although this is typical of balance transfer cards, you can find cards with more favorable transfer fees like the Chase Slate®**. A transfer fee can cost you a sizable amount of money depending on the size of your balance. For example, transferring a $5,000 balance to a card with a 3% fee will cost $150 — money you can save by using a card without a transfer fee. Simple cash-back redemption: Cash back can be redeemed at any increment, at any time and even if you close your account. Freeze it®: Put your account on hold with the touch of a button online or in the app. Discover will not authorize new purchases, cash advances or balance transfers while your card is frozen. Free FICO® credit score: Discover provides your free credit score with Discover Credit Scorecard. This allows you to keep an eye on your credit, while receiving an updated score every 30 days. 100% U.S.-based customer service: Speak to a representative 24/7 to answer your questions. No penalty APR: This card won’t raise your APR if you make a late payment. To get the most from this card, transfer your balance immediately so you can use as much of the intro period as possible. 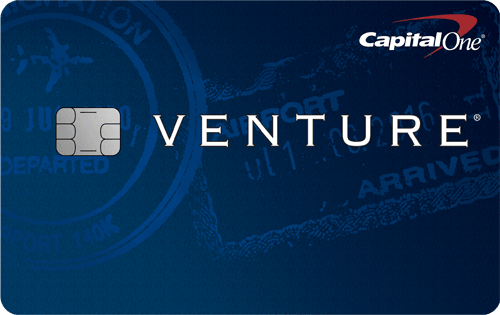 You can refer to your card agreement for the specific date at which the balance transfer offer expires. If you plan on financing a large purchase, try and do so as soon as you can, so you have the majority of the intro period to pay off your balance. Once the intro period is over, you’ll be charged an APR of 14.24% - 25.24% Variable. To make the most of the offer, plan to pay your balance in full prior to the end of the intro period. A balance transfer with the Discover it® Cash Back cannot exceed your available credit limit. That includes the amount you transfer, plus the balance transfer fee. For example, if you have a $8,000 credit limit, you can’t transfer a balance that is $10,000. You also won’t be able to transfer a balance of $8,000, because the balance transfer fee will put you over the limit. To complete your balance transfer online, from your account dashboard select the “Credit Options” tab, and select “See Offer” under “Balance Transfers”’ to view your intro offer. Once you select your offer, fill in your transfer information and verify and submit your information. Transfers typically take 14 days to process, so continue to make payments to your other creditors to avoid late fees until the transfer is complete. The Discover it® Cash Back offers a high 5% cash back at different places each quarter like gas stations, grocery stores, restaurants, Amazon.com and more up to the quarterly maximum, each time you activate, 1% unlimited cash back on all other purchases - automatically. This is a great rate for people who want to maximize their spending in bonus categories. Remember to activate the bonus categories each quarter so you don’t miss out on the higher rate. There’s also a great bonus at the end of your first year as a cardholder with Discover’s Cashback Match™: Discover will automatically match all the cash back you earn at the end of your first year.*. Although cash back is nice, don’t risk falling into debt by spending more than you can afford. (2) Over the Past 60 Days! 2% cash back at gas stations and restaurants on up to $1,000 in combined purchases each quarter. 1% unlimited cash back on all other purchases - automatically. 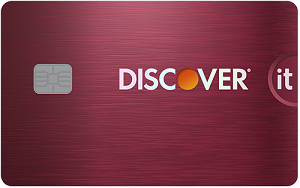 The Discover it® Cash Back and the Discover it® chrome are similar cards offered by Discover, but they offer different cashback programs. The card that’s best for you depends on your spending habits and if you want a card with or without rotating cashback categories. 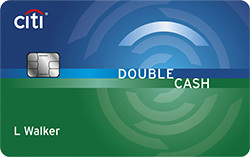 If you don’t mind activating bonus cashback categories, check out the Discover it® Cash Back’s cashback program: earn 5% cash back at different places each quarter like gas stations, grocery stores, restaurants, Amazon.com and more up to the quarterly maximum, each time you activate, 1% unlimited cash back on all other purchases - automatically. The quarterly maximum is $1,500, allowing you to earn up to $75 cash back in the 5% categories each quarter. Purchases over $1,500 in the bonus categories earn an unlimited 1% cash back. However, if you want a more straightforward cashback program that doesn’t require activation, the Discover it® chrome is a better option, especially if you frequently spend on gas and dining. Earn 2% cash back at gas stations and restaurants on up to $1,000 in combined purchases each quarter. 1% unlimited cash back on all other purchases - automatically. 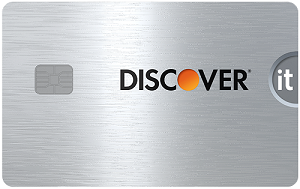 Both cards have the same new cardmember offer where Discover will automatically match all the cash back you earn at the end of your first year. Rewards 5% cash back at different places each quarter like gas stations, grocery stores, restaurants, Amazon.com and more up to the quarterly maximum, each time you activate, 1% unlimited cash back on all other purchases - automatically. 2% cash back at gas stations and restaurants on up to $1,000 in combined purchases each quarter. 1% unlimited cash back on all other purchases - automatically. The Discover it® Cash Back is a good option for people who want to earn rewards on new purchases and benefit from a decent balance transfer offer. Although the balance transfer intro period is slightly shorter than those provided by the best offerings, you can maximize your cash back with this card if you don’t mind dealing with rotating bonus categories. **The information related to the Chase Slate® has been collected by CompareCards and has not been reviewed or provided by the issuer of this card prior to publication.